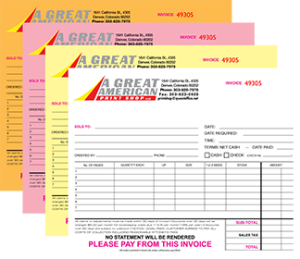 offers a variety of carbonless form options for custom printing. 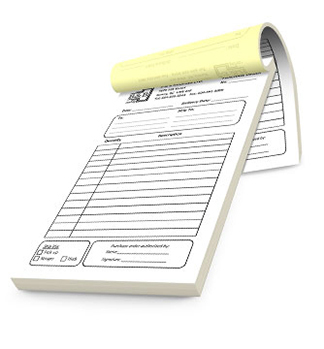 Carbonless forms, often referred to as NCR forms, are used for making a copy of an original hand-written document without the need for printers or copiers. 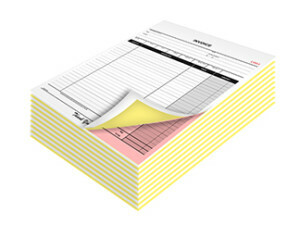 The pressure of writing on the top sheet transfers the writing to the attached sheets. 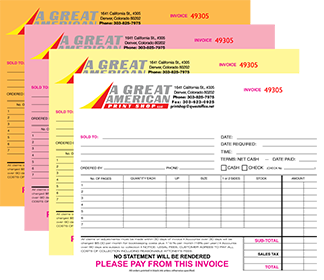 We can print two, three and four sheet carbonless forms of various sizes, and number them, if needed. *Prices are for black ink on a letter size sheet, 8.5”x11”. Contact us for other size and color options.